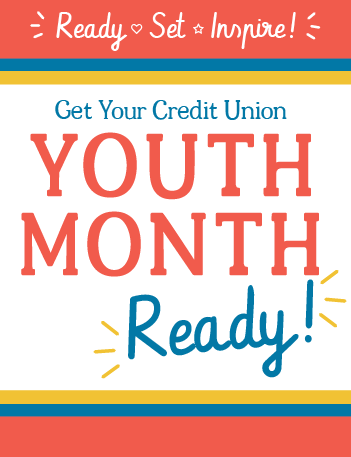 Your young members have limitless potential, and with National Credit Union Youth Month™ quickly approaching, now’s the perfect time to help them tap into their dreams for the future. This year’s theme, The Future is Yours...Picture it! Save for it! Share it!, offers a special opportunity to foster your young members’ confidence to save for the future. From Youth Month pieces to personalized promotional materials, our client support specialists are ready to help you make the most of this special opportunity to reach young members in a big way. Complete the form to submit your request online or give us a call at 877.799.0784 to get started today.